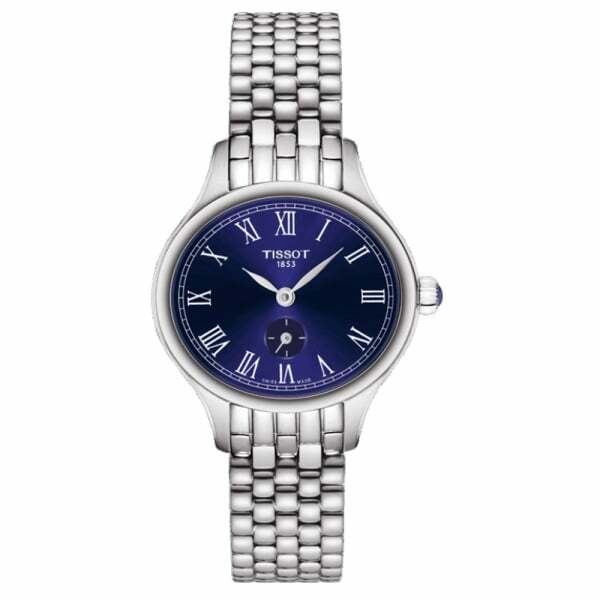 Tissot is a luxury Swiss watchmaker company founded in 1853 by Charles-Felicien Tissot. The brand created the first mass-produced pocket watches with two time zones in 1853 and the first anti-magnetic watch in 1929-30. Since then they have been extremely successful around the world, offering niche collections that are unlike anything else offered from other designer brands. Here at Hillier Jewellers we are proud to offer you this fantastic brand as they guarantee 100% satisfaction with each of their carefully crafted and luxury designs. Tissot is an official timekeeper for the world championships in cycling, motorcycling, fencing and ice hockey, and was used for the Davis Cup in 1957. Tissot have built up a well-respected reputation for providing luxury, distinctive and high quality creations which is why they have been featured in many of Angelina Jolies movies such as; Lara Croft and Mr and Mrs Smith. Many other famous celebrities have been huge fans of the Tissot brand over the years and these include global icons, Elvis Presley, Grace Kelly, and Nelson Mandela. There are so many different watch designs to choose from in the Tissot designs as you can select different dial colours, movements, collections, water resistance, functions, materials, gemstones, gender and many more. Some of the functions available from Tissot include, alarm, perpetual calendar, chronograph, luminous dial, luminous hands, multi-function, touch dial and more. Tissot offers watches in many unique and fantastic designs to ensure there is a style, colour and material to suit everyone’s specific style preferences and desires. Here at Hillier Jewellers we also provide many more high quality brands for you to choose from which include brands such as Hugo Boss and more.